From 2014 through 2017, Mozambique is building the National Evaluation Platform, with technical guidance from the Johns Hopkins University Institute for International Programs (IIP) and funding support from the Government of Canada. As NEP’s “home” institution, the National Institute of Health (INS) conducts analyses and leads hands-on capacity-building workshops with teams of other public sector NEP stakeholders. Public-sector institutions focused on MNCH&N—including the Ministry of Health, the Ministry of Planning and Development (MPD), the National Institute of Statistics (INE), and the Technical Secretariat for Food Security and Nutrition (SETSAN)—have pledged their support for NEP and are leading actors in every aspect of NEP’s development and use. A Steering Committee of leaders from Mozambican stakeholder institutions identifies priority evaluation questions, receives NEP findings, and conveys those findings to decision makers for use in strengthening health and nutrition policies and programmes. A Technical Working Group of staff from public sector MNCH&N institutions carries out NEP analyses to answer priority evaluation questions and communicates results to the Steering Committee and other stakeholders. Members of this group participate in several cycles of workshops designed to build capacity in core evaluation skills. INS and IIP successfully implemented three workshops in NEP Cycle 1, focused on evaluation questions using coverage and impact data from household survey sources and the Lives Saved Tool (LiST) to support analysis. The NEP Mozambique Technical Working Group presented the results of their analyses to the Steering Committee and wrote a full report of their findings. During Cycle 2, the Technical Working Group is assessing provincial differences in intervention coverage and health status using routine data. The team is also conducting a qualitative study on the experiences of female and male policymakers in Mozambique in developing and implementing policies for women’s health. 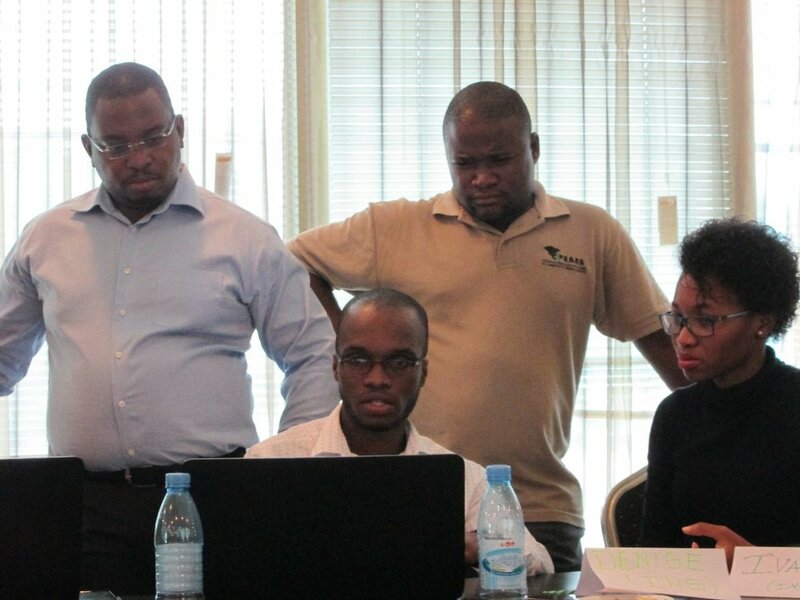 NEP empowers decision-makers in Mozambique to base their strategic and programme planning on a strong, objective foundation of evidence. Mozambique is one of four African countries that are building NEPs. Successful development of the platform in Mozambique can provide a model for replication and development of the NEP approach in other countries with substantial health and nutrition challenges. In October 2016, the European Union delegation of Mozambique provided additional funding to continue NEP with a nutrition focus from 2017 to 2020. As of May 2017, NEP will become fully integrated in Mozambique’s National Health Observatory (NHO). Under the NHO, the NEP approach will continue to be used as a systematic mechanism for collating and analyzing data to inform policymaking in Mozambique.